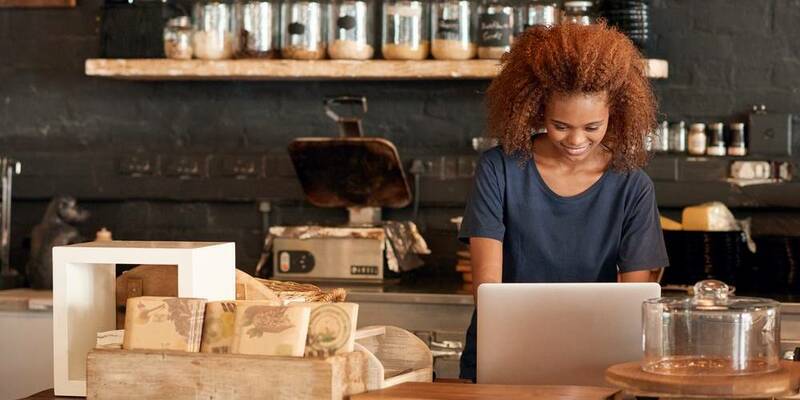 Small business accounting is something every business owner must handle, and yet it’s also the area where inexperienced entrepreneurs can make costly mistakes and miscalculations. Even if you plan to hire an experienced bookkeeper or accountant to maintain your company’s books, you should still understand the basics and know what you need to have on hand for accurate accounting. At CFE, we pride ourselves on helping our valued business members deal with their finances. We answer small business accounting questions every day, and we provide services that help our clients deal with payroll deductions and other accounting challenges. We’ve put together this small business accounting checklist of things you must do to keep accurate books and ensure your company’s financial stability. The filing system can be set up any way you choose, but you’ll probably want to include files for payroll, vendor invoices, and expense receipts sorted by category. Review your cash status. It’s always a good idea to know how much cash you have on hand and weigh that against your expected expenses in the near future. Open all mail and organize bills and invoices. As your mail comes in, sort any accounting-related items into their appropriate folders. Organize any new receipts you acquire into their appropriate folders. Enter daily transactions into your general ledger, including both money paid out (expenses) and money taken in (revenue). Doing these tasks each day will ensure you don’t fall behind in your small business accounting and that you will, at any given time, have a clear picture of where your business stands financially. Pay outstanding invoices. If you keep your invoices sorted by due date, you’ll be sure you never miss a payment. Issue invoices for work completed or product delivered. You may choose to do this task daily, but don’t wait more than a week to issue an invoice. Review your cash flow, including accounts payable and accounts receivable, so you have a clear picture of the money you will be sending out and what you will be taking in. Make collection calls on outstanding invoices as needed – or at least, send past-due notices. If you keep petty cash, account for all withdrawals and deposits. Paying bills and issuing invoices promptly will minimize the chances that you’ll end up with a cash flow issue. You may also choose to send out statements to your customers at the end of the month. This is a good practice, particularly if a customer has past due invoices. You may choose to use a payroll service like the one we offer at CFE to help you manage your payroll taxes and avoid problems with the IRS. Fill out your IRS W-2 and 1099 forms. Take a physical inventory of all finished goods, merchandise, and raw materials that you have on hand. Compare them to what’s in your account system and reconcile as needed. Update your unemployment insurance rate for the coming year. Ask your accountant to prepare your full-year financial reports, calculate depreciation for your fixed assets, submit tax returns, and handle any adjusting journal entries to balance your books. Unless you’re an experienced accountant, we recommend hiring a professional to do your reporting. Preparing financial statements and reports is tricky, and making mistakes can cause problems down the line. Small business accounting is an ongoing commitment throughout the year. Using this checklist will ensure you meet all of your financial obligations. To learn how CFE’s business banking accounts can help you with your finances, please click here now.